A recent New York Times story highlighting new developments titled “Year of the condo in New York City,” showed some similarities to the Greater Toronto Area condo market. The following Toronto Star article explains the similarities. "The facts related about market supply and demand were similar to our findings here. For instance, in the bustling city of Manhattan, the article explained that there are about 6,500 new condominium homes — I understand that’s twice as many as a year ago — for sale across 100 buildings. 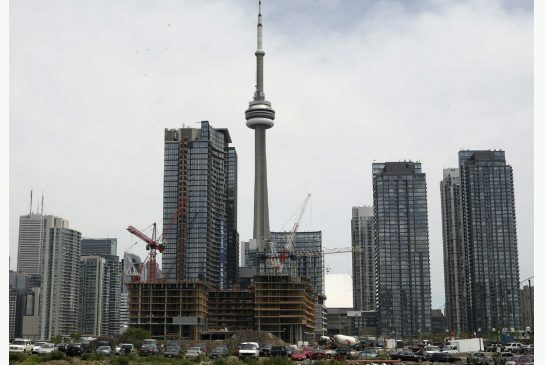 Comparatively, between January and November last year, there were 20,797 highrise homes sold in the GTA, a figure which was up 40 per cent from the same period the year before. After a difficult year for new home sales in the GTA in 2013, many builders and developers used the first part of 2014 to sell off remaining inventory and moved new project launches to later in the year. I also was interested to read that a number of the N.Y. projects involved converting old buildings into new residential dwellings, adding choice to the market for new home buyers. Like our builders, those in Manhattan are also challenged by increasing land prices. The article spoke to “soaring land costs,” and in my columns I have addressed a similar issue. In the GTA, land costs are increasing because developable land — land that has service connections for water and sewer — is in short supply. And while the price increases, serviced land is also in high demand because we continue to have up to 100,000 people and 50,000 jobs arrive here every year. People and businesses choose to locate in areas like the GTA and Manhattan because of their thriving, vibrant, interesting communities. As the New York Times story discussed a number of buildings and communities, and what they bring to their neighbourhoods, it got me thinking about the merits of our members’ additions to the GTA landscape."